The Boatyard “Koupetori” is a traditional boatyard, located in Salamina Island (near Piraeus, Athens) which operated from 1920 and has now passed into the hands of third-generation family Koupetoris. Today, Koupetori Boatyard is a major company that offers its customers competitive prices and quality service for the repair and refurbishment of yachts, boats and speedboats. With years of experience providing high quality of carpenter work. The boatyard is fully equipped and offers modern and safe services. 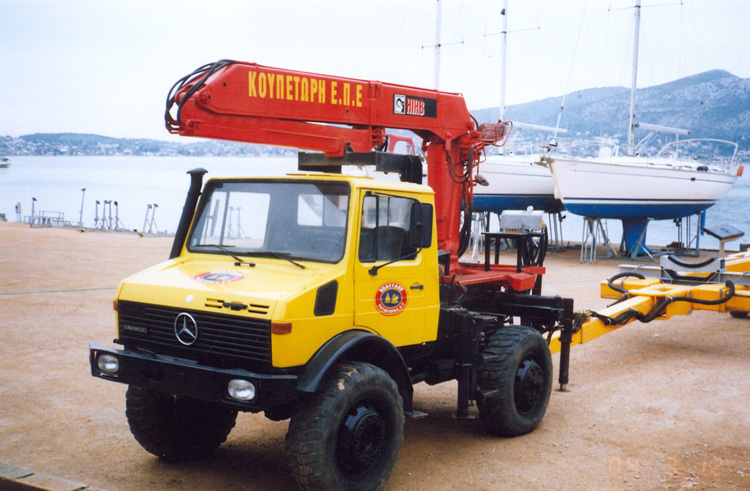 It now operates with a hydraulic trailer for hauling boats that can accommodate vessels up to 15m overall length. Boats rely on specially constructed scaffolding. With the experience and expertise we have, we move your boat with guaranteed safe results.